Free Webinars on LEED Homes. CEUs available! , a leading LEED for Homes Provider working internationally, has partnered with Eco Achievers and developed an online educational offering available anytime, anywhere for no cost. The US Green Building Council (USGBC) has developed the LEED for Homes rating system, which covers major home renovations and new construction of single-family homes, multi- family apartments and condos, and mixed-use residential buildings. In this class, the LEED for Homes rating system will be introduced, and then applied to case studies relevant to the local market. Common myths regarding level of documentation, cost, and credit requirements will be dispelled. Alternatively, if you are interested in the Introduction to LEED for Homes presentation but do not need/want continuing education credits, you can view the recording anytime. Alternatively, if you are interested in the LEED Multifamily Certification Options presentation but do not need/want continuing education credits, you can view the recording anytime. 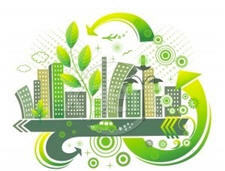 https://greenhomeinstitute.org/wp-content/uploads/2011/12/LEED-for-Homes-CEU1.jpg 171 225 Brett Little https://greenhomeinstitute.org/wp-content/uploads/2018/08/GHI_Round-300x82.png Brett Little2011-12-06 11:53:062016-09-02 17:11:50Free Webinars on LEED Homes. CEUs available!